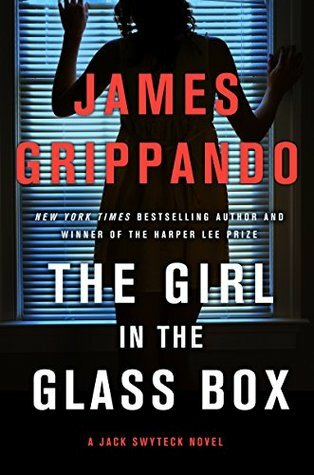 About the author: (from Goodreads Author Page) The first thing you should know about bestselling author James Grippando is that he is no longer clueless—so says his wife, Tiffany, after “A James Grippando Novel” was a clue for #38 Across in the New York Times crossword puzzle. James is the 2017 winner of the Harper Lee Prize for legal fiction and a New York Times bestselling author of 26 novels of suspense, including the popular series featuring Miami criminal defense attorney Jack Swyteck. His latest, “A Death in Live Oak,” is the fifteenth in the Swyteck series. His novels are enjoyed worldwide in 28 languages. He is now Counsel at one of the nation’s leading law firms, where he specializes in entertainment and intellectual property law, representing clients who have won more than 30 Tony Awards. He lives in south Florida with his wife, three children, two cats and a golden retriever named Max who has no idea he’s a dog.